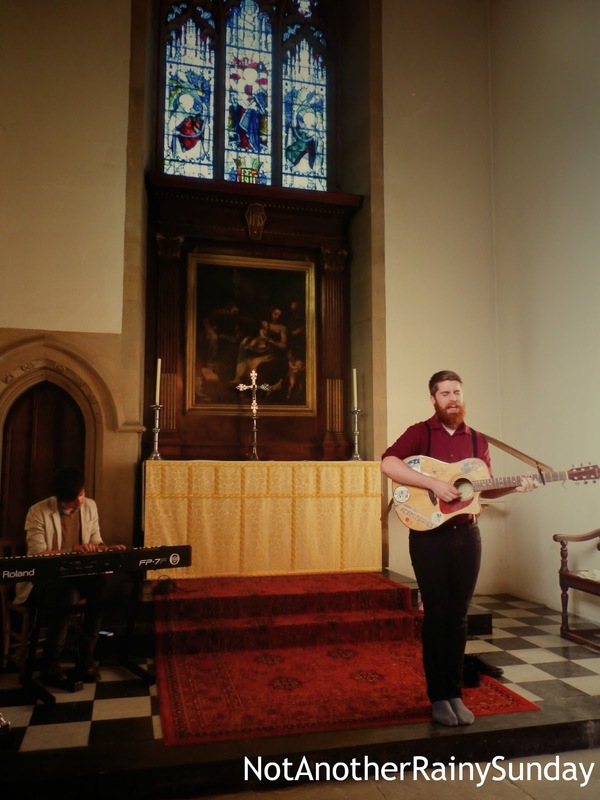 Having previously played in a variety of quirky venues from living rooms to museums, a beautiful church in East Oxford seemed the perfect setting for a musical extravaganza hosted by local lads, Spring Offensive. 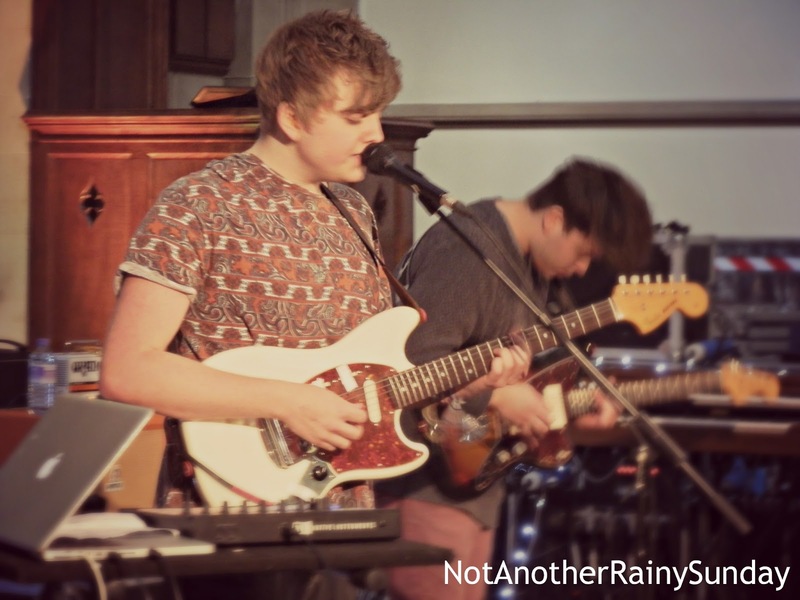 With so many great releases coming out of Oxford lately, an evening of Oxford bands was sure to be a good one (it's worth checking out Seb Reynolds' musical guide to the city here). The evening began with acoustic sets in the chapel of the church - a tiny room that made for an intimate environment. With The Ruby Kid acting as a compère, the audience were treated to some spoken-word poems, and despite only a few admitting to being hip hop fans, it was clear the crowd appreciated his impressive ability to spout such powerful lines so charismatically. The musical proceedings got under-way with the unconventional looking Sweet William. With his wild mop of ginger afro, I'm wasn't to sure what kind of music to be expecting, but he lived up to his name, with soothing vocals and an unassuming persona. Coming into the centre of the crowd to perform one of his songs was a nice touch, and I instantly warmed to his reserved and gentle, but nonetheless powerful music. Adam Barnes continued in much the same fashion with melancholic songs, and dulcet melodies, and yet the differences between the two singers were clear. Barnes, joined by a keyboard, sang with an assurance that exuded his confident, but humble manner. Playing acoustic versions of tracks off his latest EP, his stripped back set was refined but elegant, perfectly matching the ornate setting. The final band of the acoustic section was Salvation Bill, a western/country trio, whose energy was infectious. Littered with eccentricities (including a fake crow attached to the guitar strap of the lead singer), their set was one of the most fun I've witnessed in a long time. Dedicating a song to their neighbour's dog, they sang of a dog who howls throughout the night, even inputting some spectacularly accomplished howling into the song. 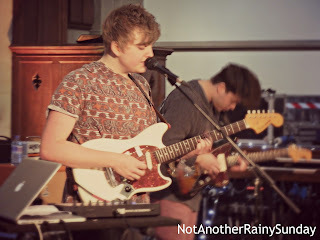 Pixel Fix's set in the main body of the church marked a definite change in the tone of the evening, with their heavy guitars and sample pads. Despite being utterly charming (the lead singer repeated on numerous occasions what 'a pleasure' it was to be playing there), their music had an angrier edge to it, and a raw sound that was exhilarating and refreshing at the same time. They were clearly young lads, but their music was accomplished and assured, and they had a confidence which made it seem like they had been around for years - they're definitely one to keep an eye on in the coming year. After the excitement of Pixel Fix's set, Peter & Kerry seemed a bit dreary in comparison. Whilst their songs had catchy melodies and pretty harmonies, it was all a bit too twee for me, and it was hard to distinguish one song from another. By the time Spring Offensive took to the stage, the venue was packed not only with loyal Oxford fans, but fans from further afield as well - a testament to the success they have had in recent months and their increasing popularity as they finally gain the recognition they deserve. 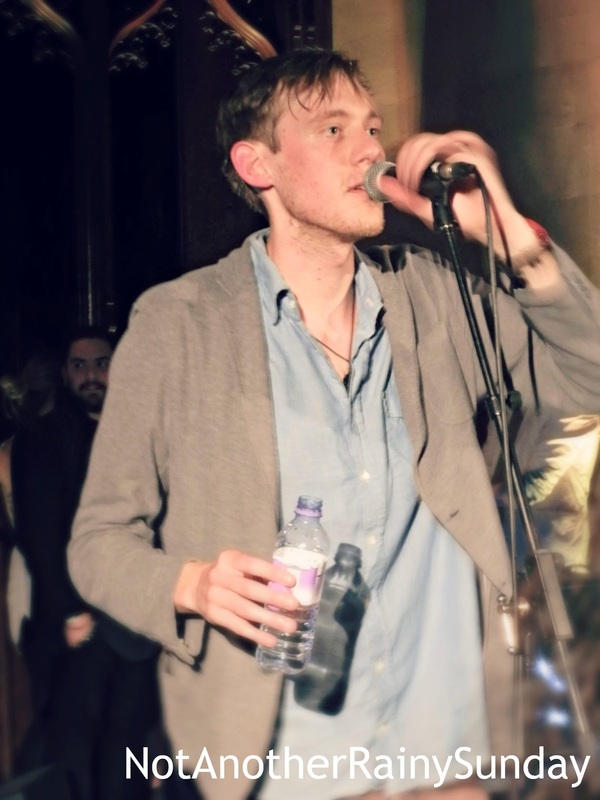 Lead singer, Lucas Whitworth, was the perfect front man - he had good banter with the crowd, and commanded the stage like a master conductor, though when you're well over 6 foot perhaps it isn't so hard to do..! Opening with the beautifully haunting No Assets, the band instantly captivated the audience, and set a high standard which they maintained throughout their set. Playing Synapse to Synapse to a live crowd for the first time that evening was a daring move, but it paid off - the melancholic vocals fit perfectly in the majestic setting of the church, and it wasn't hard to see why they'd chosen that particular venue for their set. Not Drowning But Waving closed their set, and despite having to restart after Matt Cooper accidentally pulled out his guitar lead, it was a stunning finish to a wonderful evening of Oxford music.